Middle East Facts: Israel must be steadfast in protecting its rights and its people Many nations and people are questioning Israel’s control of its liberated territory. Israel must be steadfast in protecting its rights and its people Many nations and people are questioning Israel’s control of its liberated territory. Many nations and people are questioning Israel’s control of its liberated territory. No one is mentioning that the Arab countries had ejected about a million Jewish people and their children from their countries, confiscated their assets, businesses, homes and Real estate. Many of the Jews ejected from Arab countries died while their forced departure from Arab countries, due to hardship, famine and starvation. 650,00 Jewish people and their children of these expelled Jewish people and their children were resettled in Greater Israel. 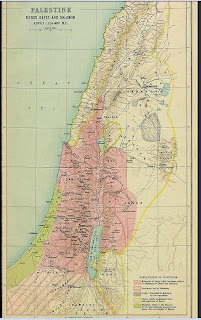 The Land the Arab countries confiscated from the Jewish people 120,440 sq. km. or 75,000 sq. miles, which is over 5-6 times the size of Israel, and its value today is the trillions of dollars. The Jewish people and their children during the over 2,000 years living in Arab countries have suffered Pogroms, Libel claims, beheadings, beatings, false imprisonment and extreme hardship as a second class citizens. They had their businesses and homes pillaged, their wives and daughters raped, sold them as slaves, their houses of worship pillaged and burned, forced conversion to Islam. Today over half of Israel's population are Jews expelled from Arab countries and their children and grandchildren. The Audacity of the Arab countries in demanding territory from the Jewish people in Palestine after they ejected over a million Jewish people and their children who have lived in Arab land for over 2,000 years and after they confiscated all their assets and Real estate 5-6 times the size of Israel (120,440 sq. km. - 75,000 sq. mi. ), valued in the trillions of dollars. Now the Arab nations are demanding more land and more compensation. The Arab countries have chased the million Jews and their children and now the want to chase them away again, from their own historical land. Israel must respond with extreme force to any violent demonstration and terror. Israel's population must have peace and tranquility without intimidation by anyone. The Jewish people have suffered enough in the Diaspora for the past 2,500 years. It is time for the Jewish people to live as free people in their own land without violence and terror. It is time to consider that the only alternative is a population transfer of the Arab-Palestinians to the territories the Arab countries confiscated from the Jewish people and settle this dispute once and for all. Many Arab leaders had suggested these solutions over the years. many years in which Israel has been silent about its legal rights. That is a welcome development. Earlier this month, Prime Minister Binyamin Netanyahu was presented with the report of the Commission to Examine the Status of Building in Judea and Samaria, headed by former Supreme Court Justice Edmond Levy (the “Levy report”). The report has drawn a flurry of overwrought criticism due to its inclusion of a section concerning the lawfulness of Israeli settlement activity. In contrast with the misinformed and sometimes outright disingenuous criticism, the report’s discussion of the lawfulness of settlements is surprisingly modest in substance. The report does little more than endorse the traditional official Israeli position that the Fourth Geneva Convention does not apply de jure to the West Bank, and in any event does not bar Israeli settlements. While the report’s analysis is far from comprehensive, it is more detailed and more persuasive than that usually offered by anti-settlement activists. The Levy report adduces one of two fairly compelling reasons for concluding that the laws of belligerent occupation do not apply de jure to Israel’s presence in the West Bank. One of the sine quibus non of belligerent occupation, as reaffirmed recently in an expert conference organized by the International Committee of the Red Cross, is that the occupation take place on foreign territory. While recent years have seen some debate on the meaning of foreign territory, considerable state practice supports the traditional view that captured territory is “foreign” only when another state has sovereignty. The Levy Commission is on solid ground in observing that neither Jordan nor any other foreign state had territorial sovereignty over the West Bank in 1967 and that the territory cannot therefore be “foreign” for purposes of the law of belligerent occupation. Indeed, had the Levy Commission chosen to so argue, it could have argued cogently that Israel itself was already the lawful sovereign over the West Bank in 1967. Palestinians, as well as by joining a small group of legal scholars who believe in a “post-belligerent occupation” that shares many of the rules of belligerent occupation, the majority position is still clearly that the rules of belligerent occupation do not apply to an agreed-upon peacetime presence. Officials of the state of Israel have provided services to settlers and sometimes encouraged them, but the state of Israel has not transferred any Israeli to the West Bank against his or her will. In fact, as even anti-settlement activists like Talia Sasson acknowledge, “there was never a considered, ordered decision by the state of Israel, by any Israeli government” on settlements. While some governments of Israel have favored the physical expansion of settlements or the increase of their population, settlement growth has been driven by the preferences of private citizens not by official Israeli population transfers. There is no precedent for any other state being adjudged to have violated the Fourth Geneva Convention simply on the basis of permitting or facilitating private preferences in the way Israel has done. Indeed, this is the reason that the Arab states sought to redefine the bar on “transfers” in international law by including a crime of “indirect” transfers in the Rome Statute creating the International Criminal Court. However, Israel is not a party to the Rome Statute and it is therefore not bound by the alternative, more restrictive standard. The Levy Commission notes that even if facilitating private Jewish residential preferences in the West Bank were otherwise suspect “transfers,” sui generis rules apply to the area. Article 6 of the Mandate of Palestine demands “encourage[ment], in cooperation with the Jewish Agency … [of] close settlement by Jews on the land, including State lands...” As the late Eugene Rostow, one-time dean of Yale Law School, noted, this command is preserved by article 80 of the U.N. Charter, and, if the West Bank (Judea and Samaria) is under belligerent occupation, by article 43 of the Hague Regulations. Additionally, if, as Israel’s critics contend, the International Covenant on Civil and Political Rights applies to Israeli actions in the West Bank, articles 3, 12 and 26 of the Covenant lend urgency to Israeli efforts to protect Jewish housing rights in the West Bank in light of the Palestinian Authority death penalty for land sales to Jews coupled with senior Palestinian officials’ open call for a Jew-free state of Palestine. Talia Sasson, author of her own controversial 2005 report on outposts, has criticized the Commission on the grounds that its conclusions are contradicted by Israeli Supreme Court rulings. But contrary to Sasson’s assertions, while the Supreme Court has adjudicated cases on the basis of Israel’s voluntary assumption of selected duties of a belligerent occupant, the Court has never ruled that the Fourth Geneva Convention applies de jure to the West Bank. In opposing the Levy report, Aeyal Gross and David Kretzmer have claimed that if the laws of belligerent occupation do not apply de jure to the West Bank, Israel lacked the authority to empower a military commander to undertake actions such as seizing property in the territory. However, Gross and Kretzmer err. Israel’s administrative law determines the powers given to an Israeli military commander, not international law, and there is nothing to prevent Israel granting various powers to its commander in the West Bank, in the absence of a de jure belligerent occupation. History supplies more extreme examples: the United States applied full military regimes to defeated Confederate states after the civil war, and to Puerto Rico following a peace treaty with Spain, even though the states were American territory and there was clearly no de jure belligerent occupation. Some have argued that the Levy report is foolish politically, arguing that by asserting its legal rights, Israel will signal that it is unwilling to entertain “land for peace” compromises. This seems a doubtful thesis. Israel has asserted its legal rights to Jerusalem for decades, but yet repeatedly offered compromises on its rights in the city. Others have objected that the Levy report’s conclusions can be disputed by international jurists, including by a controversial and non-binding advisory opinion of the International Court of Justice. It is true that like many legal controversies, the questions addressed by the Levy Commission are capable of being analyzed in a number of ways. The Levy Commission’s conclusions are logical applications of reasonable understandings of the rules in an area where no authoritative resolution of the dispute has yet been rendered. The Levy report has reinvigorated the discussion of the legitimacy of Israel’s position under international law after many years in which Israel has been silent about its legal rights. That is a welcome development. Avi Bell is a professor in the Rackman Faculty of Law at Bar-Ilan University and the University of San Diego School of Law. does not bar Israeli settlements. While the report’s analysis is far from comprehensive, it is more detailed and more persuasive than that usually offered by anti-settlement activists. Confederate states after the civil war, and to Puerto Rico following a peace treaty with Spain, even though the states were American territory and there was clearly no de jure belligerent occupation. Land Ownership in Palestine 1880-1948 - M.A. The Arabs in the Holy Land - natives or aliens? Did the Arabs Dispossess Palestinian Arabs?